The 29-year-old defender last played for Spain in their last-16 exit to hosts Russia at the 2018 World Cup in July. Following Enrique’s appointment as Julen Lopetegui’s permanent replacement in Spain, Alba has been omitted from the last two squads. This comes in light of the fractured relationship Alba had with Enrique, when the latter was in charge of Barcelona. Alba had become vocal over his discontent with Enrique’s treatment of him at Camp Nou and struggled to fit into his 3-4-3 system. 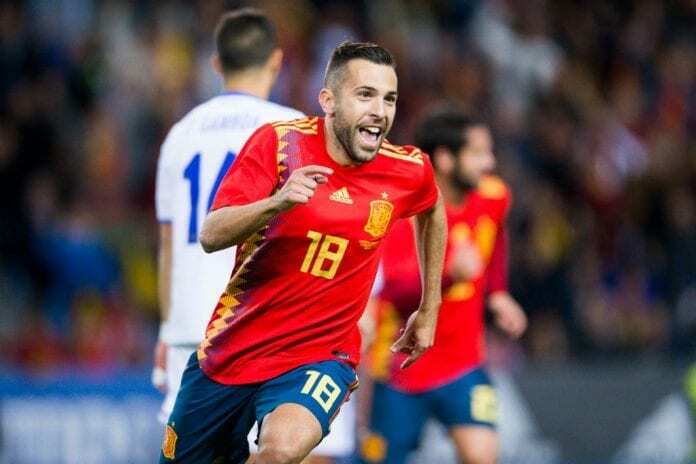 Cadena SER’s radio programme ‘El Larguero’ recently claimed that Alba would be left of the Spain squad again. But Enrique has proven himself to be a football man at heart, who chooses the needs of the team above his own feelings. The Spanish football federation announced on Twitter earlier today that Enrique has recalled Alba in his 24-man squad. La Roja will face Croatia in the UEFA Nations League on November 11 before hosting Bosnia in a friendly three days later. The likes of Sergio Ramos, David de Gea, Marco Asensio and the in-form Alvaro Morata are also included. Alba has managed eight goals and 10 assists in 66 appearances for Spain at international level. The Barcelona star was a member of the Spain team that won EURO 2012.